The Malê Revolt, also known as The Great Revolt, is one of the most significant slave rebellions in Brazil. In the early morning hours on January 25, 1835, in the city of Salvador da Bahia, hundreds of black Muslim slaves and freedmen rose up against the city’s governing class. 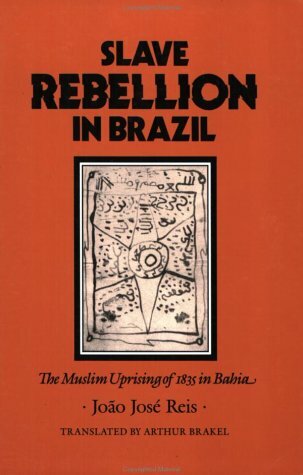 Muslims were called malê in Bahia at this time, from the Yoruba imale that designated a Yoruba Muslim. The uprising also took place on the feast day of Our Lady of Guidance (Nossa Senhora da Guia), one of the many celebrations of the Church of Bonfim at that time, and concurrently was also the 27th day of Ramadan. Consequently, the revolt was quickly suppressed in three hours and soon drastic, repressive measures began to be enacted against the Black community. Although it was not the end of resistance, this was the last known slave revolt in Brazil.